The Shiny Vampire Club: SAY WHAT!?! I saw this and just HAD TO share with you all!!!!!! Our band practice nights would rock so much more if we had this! and I'm not sure Peacey, but I think she means those fake video game band things. yes with the wii, but we've got pure talent. 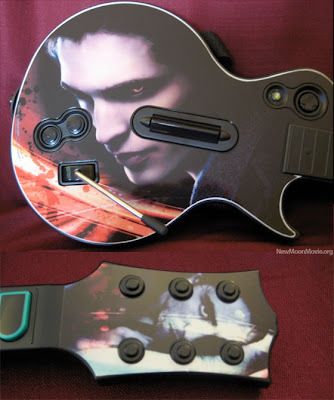 Edward looks kinda creepy on that guitar though.